Venezuela's bishops have said their country's government aims to install a "military dictatorship, socialist, Marxist and communist." The church and Venezuelan authorities have long had a tense relationship, Catholic News Service reported July 10. It said comment by Archbishop Diego Padron Sanchez, president of the bishops' conference, refers to a process unilaterally initiated May 1 by Venezuelan President Nicolas Maduro. He sought to draft a new constitution for the country and to create that document, Venezuelans will elect hundreds of representatives to a constituent assembly July 30. 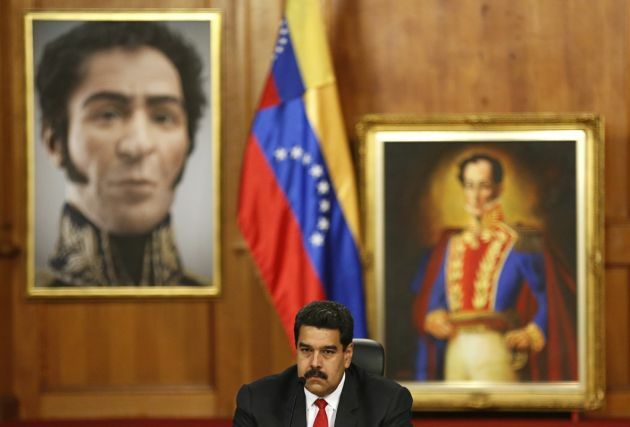 Two days later, July 12, the Catholic bishops of Venezuela issued an "urgent message" condemning oppression committed by President Nicolás Maduro's regime, Catholic Culture reported. The bishops referred to unconstitutional trials before military tribunals, allegations of torture, and the jailing of political detainees in military facilities and maximum security prisons. They noted that that legitimate legislative authority rests in the National Assembly, in which the opposition party holds a majority. The bishops expressed grave concern about the ruling group's plans to convoke a constitutional assembly to draft a new constitution. Beginning their message, the bishops expressed their full communion with Pope Francis and quoted the Argentine pontiff, who said that "in the voice of the Venezuelan bishops, my voice also resonates." Maduro has claimed his initiative aims to bring peace to the country, shaken by more than 100 days of anti-government protests in which over 80 people have died. Both the Venezuelan opposition and the bishops have condemned the plan as illegitimate and illegal. They have said they believe the assembly's structure would over-represent pro-government sectors, guaranteeing a body favorable to a government that polls show has the support of less than a quarter of the population. "A constituent assembly without consultation from the people first will bring negative consequences for the country because the government excludes many sectors to impose a constitutional communal state," Padron had said in his message. On June 30, the office of United Nations High Commissioner for Human Rights in Geneva 30 had said decision by the Venezuelan Supreme Court on 28 June to begin removal proceedings against the Attorney General, freeze her assets and ban her from leaving the country was deeply worrying. It also expressed concern on the ongoing violence in the country. "We are also disturbed by the decision on 27 June by the Supreme Court's Constitutional Chamber to declare her appointment of a deputy attorney general to be null and void, and to appoint instead a temporary deputy, in violation of the appointment procedure under Venezuelan law," said the rights office. It said that since March, the Venezuelan Attorney General had taken important steps to defend human rights, documenting deaths during the wave of demonstrations, insisting on the need for due process and the importance of the separation of powers, and calling for people who have been arbitrarily detained to be immediately released. "We are concerned that the Supreme Court's decisions appear to seek to strip her Office of its mandate and responsibilities as enshrined in the Venezuelan Constitution, and undermine the Office's independence," said the UN office.